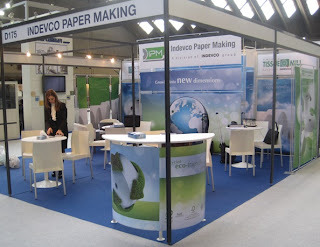 Representatives from INDEVCO Paper Making division companies, Unipak Tissue Mill and Interstate Paper Industries, as well as Phoenix Machinery met with Tissue World 2011 visitors at Stand # D 175. 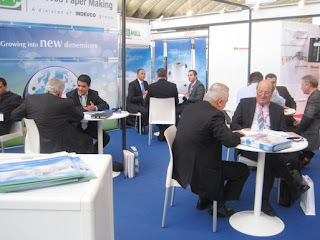 The biennial event for the tissue converting industry took place from 29 – 31 March 2011 at Acropolis Exhibition Hall (Acropolis Palais des Expositions), Nice, France. 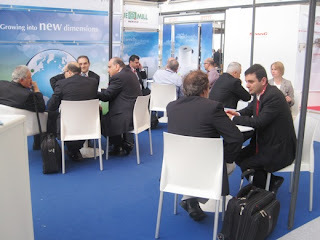 Georges Kassab, Export Sales Manager. 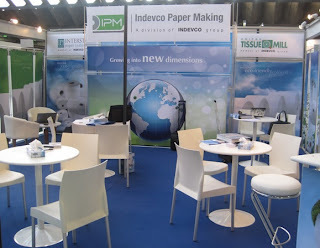 Unipak Tissue Mill in Halat, Lebanon, Interstate Paper Industries in Sadat City, Egypt and Phoenix Machinery in Safra, Lebanon are member companies of INDEVCO Group.